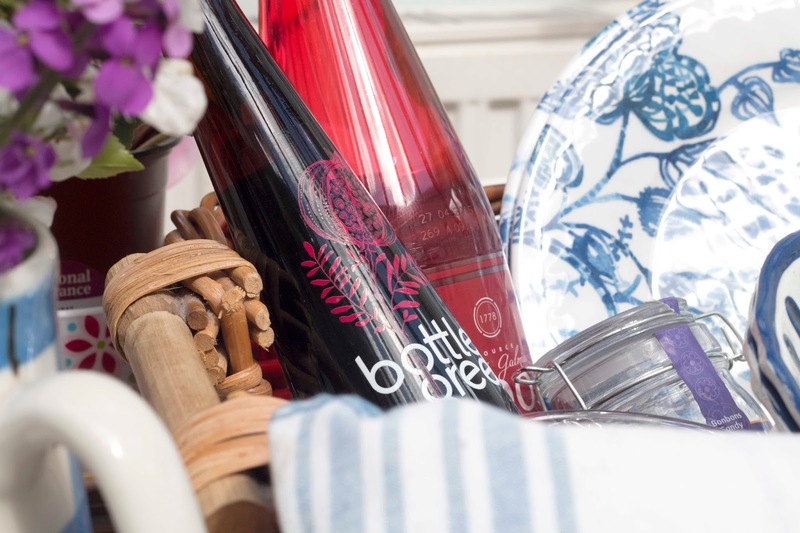 The weekend is finally here, and thankfully we’re being rewarded with an extra day of relaxation for May Day Bank Holiday and hopefully some sunshine – fingers crossed, this is England. 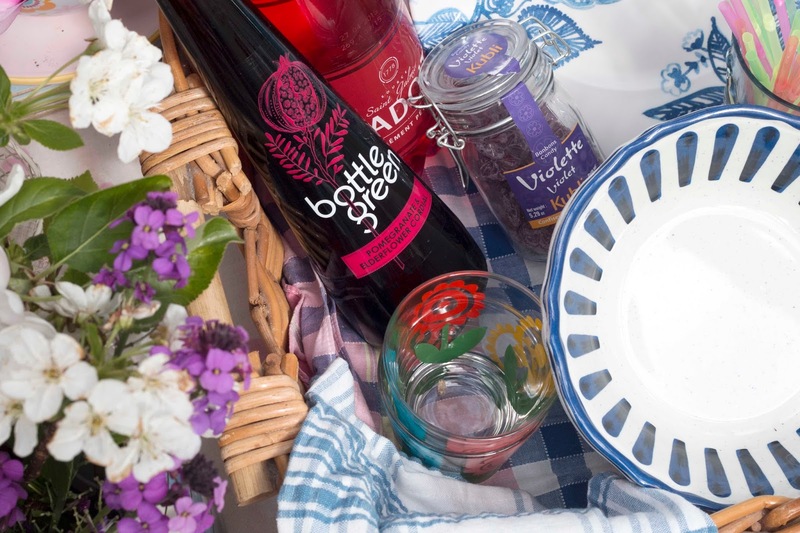 Thanks to recent spell of warm and sunny weather, I’ve been craving a picnic with some homemade salads and bakes, topped off with a cold glass of sparkling cordial whilst I kick back in the sun. 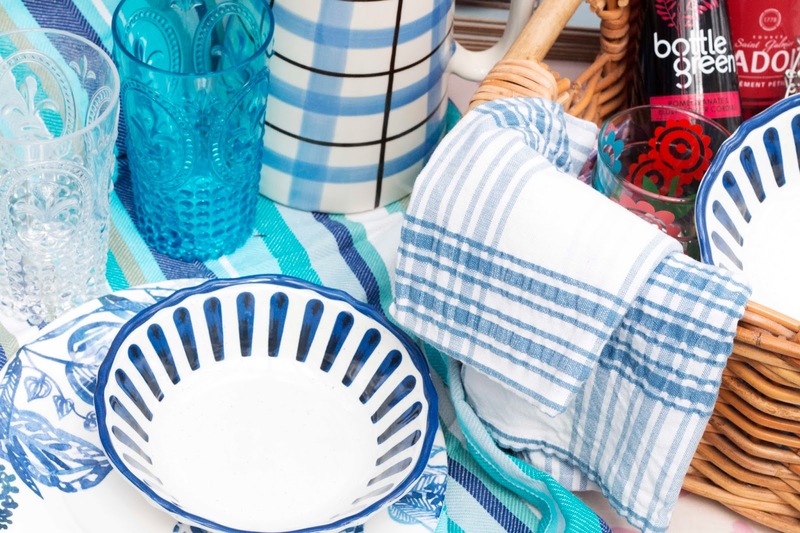 Let’s set the scene: wicker basket packed with food, serviettes, pretty glasses and plates, and a delicious spread of food; sounds pretty dreamy right? 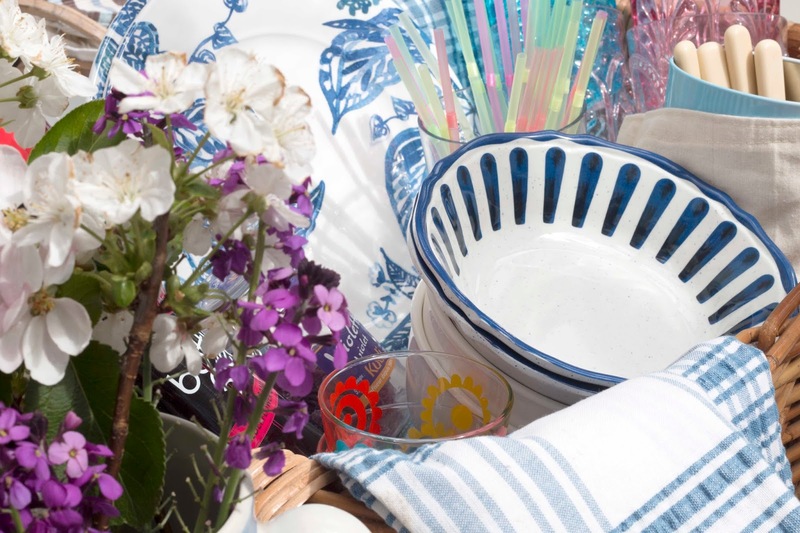 To get me in the swing of things, Homesense asked me what I’d be doing this May Day Weekend to welcome in the Spring season, and asked me to recreate my ideal relaxing treat with some of the new season launches – well, I couldn’t say no to Spring homewares could I?! Every picnic needs a comfy base to relax on, and I picked up the gorgeous Blue Striped Blanket* above because, well, it’s blue and you all know I love blue, but it’s also so soft and folds out to a massive blanket for everyone to sit on (plus it could double up for a table cloth, I do love a multitasking piece). Of course, I’ve packed some essentials – an old tape from the 90’s to relax with (if you have a table player still, so retro) or my phone to supply the tunes, sunglasses, casual shoes to kick on/off easily, and a scarf to protect from the imminent breeze should it occur – always be prepared folks! 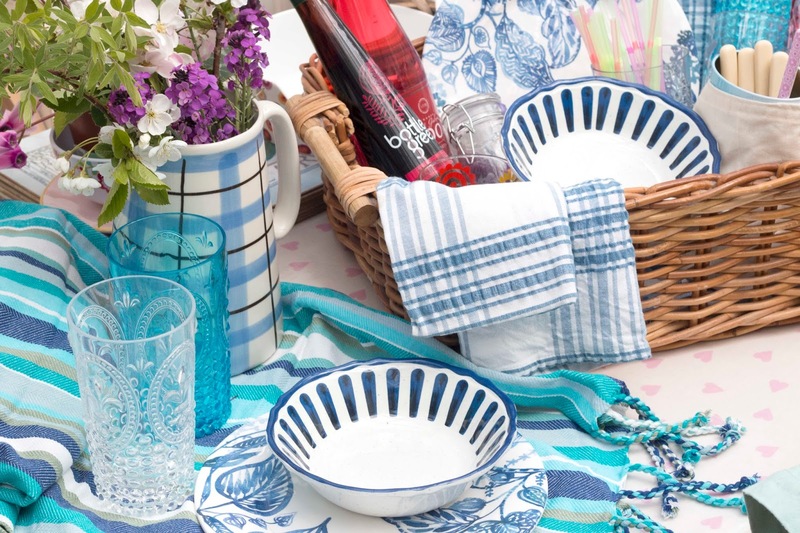 Now no picnic is complete without things to actually help you eat the food, so I popped out some of my favourite plastic homeware which I featured in my last Homesense post, and the blues just all compliment each other perfectly whilst looking much more expensive than they actually are. 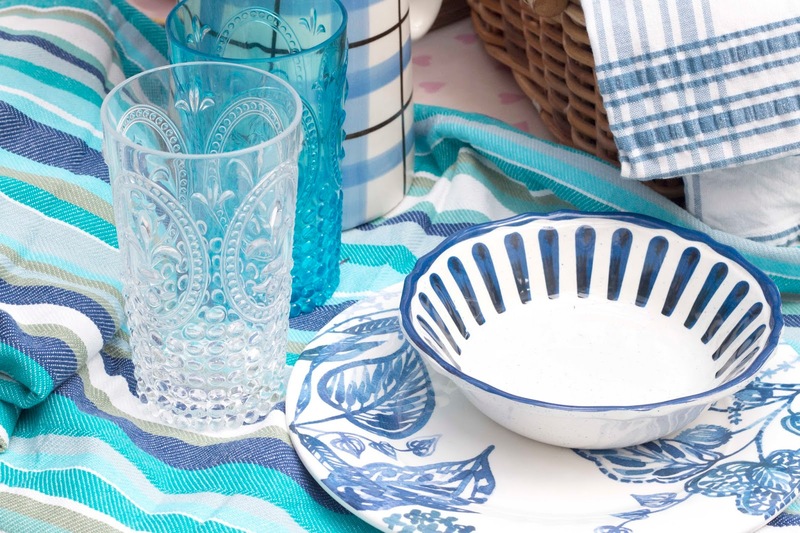 The blue and white tumblers are some of my favourite pieces as they have a great design and really brighten up the table, plus they won’t break if you knock them which makes them an essential for a child-friendly picnic. 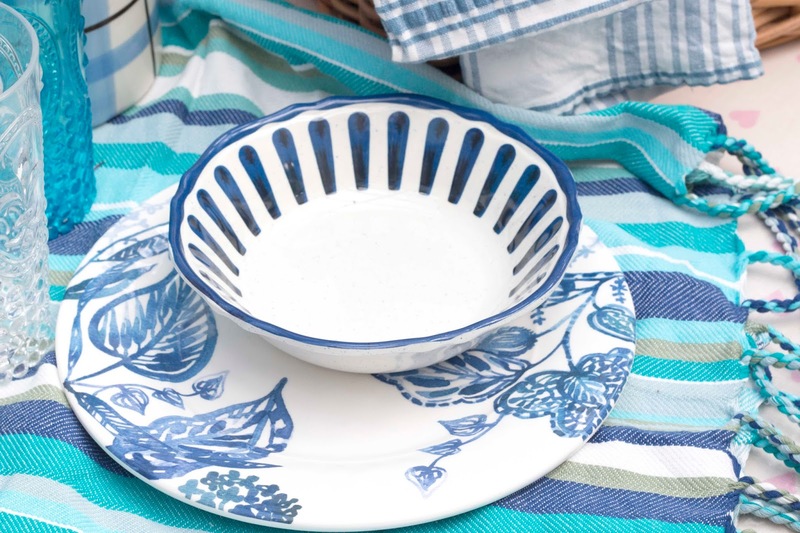 A new addition comes in the form of two White and Blue Watercolour Floral Plates*, both a beautiful design that contrasts perfectly with the bowls and adds that lovely spring, country style edge to them, and of course they’re in my favourite two colours – if you’re going to colour co-ordinate you have to do it right. Great for loading up on the sandwiches or homemade bakes, and because they’re plastic they’re easy to clean and look such high quality too, perfect for making your day a little bit more fancy! 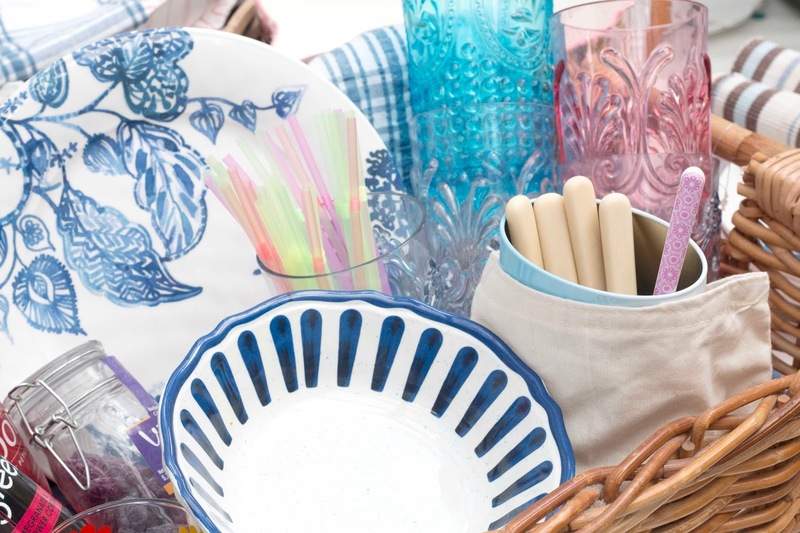 Add in some cutlery, bright fun straws, your suncream (if you’re thinking positively), some extra pillows to sit on, and start packing up the snacks and treats for a fun afternoon in the park or garden, enjoying the extended weekend with family and friends, and of course, all decked out in discounted homewares that bring style and a unique homely feel to your feast. 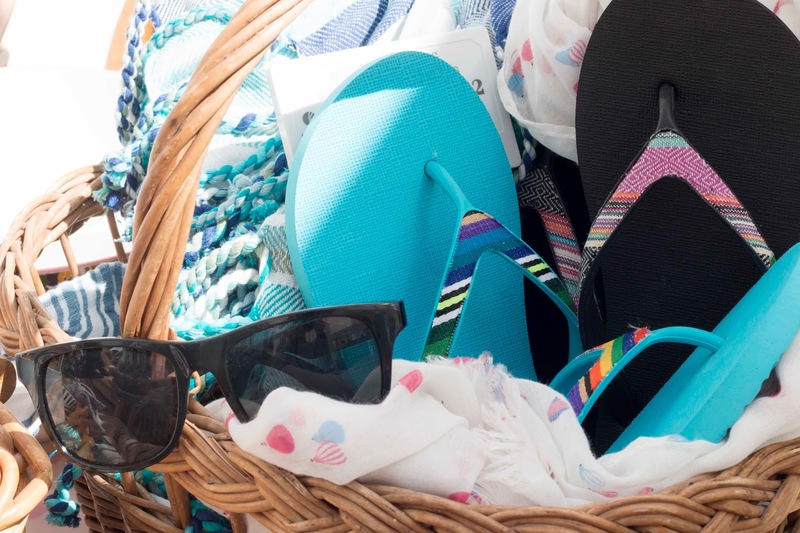 Kick back and relax this May Day holiday, and maybe you’ll find yourself a bargain along the way! Are you doing anything fun this Bank Holiday Weekend? 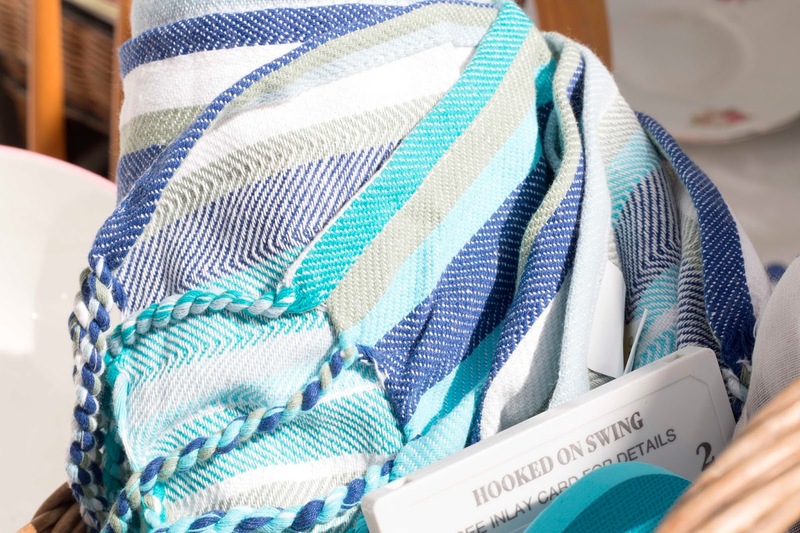 Have you checked out Homesense’s spring bargains? 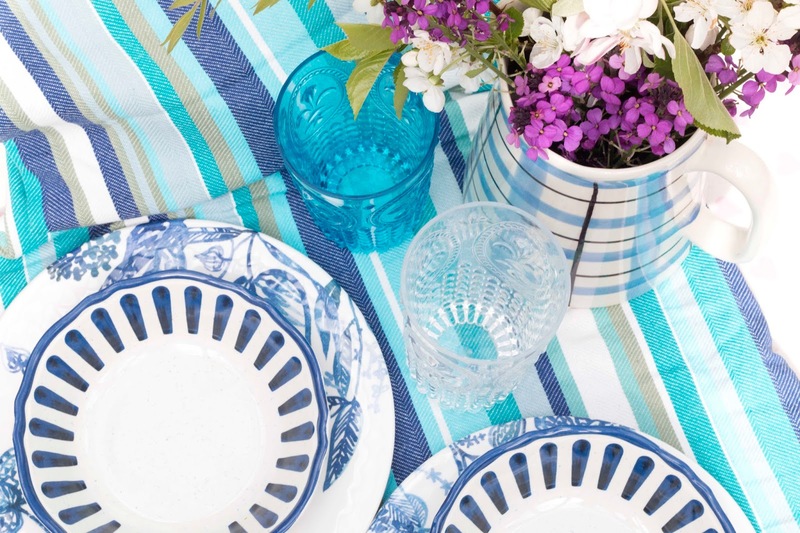 What is your perfect dining colour scheme? This post contains sponsored content provided by Homesense. 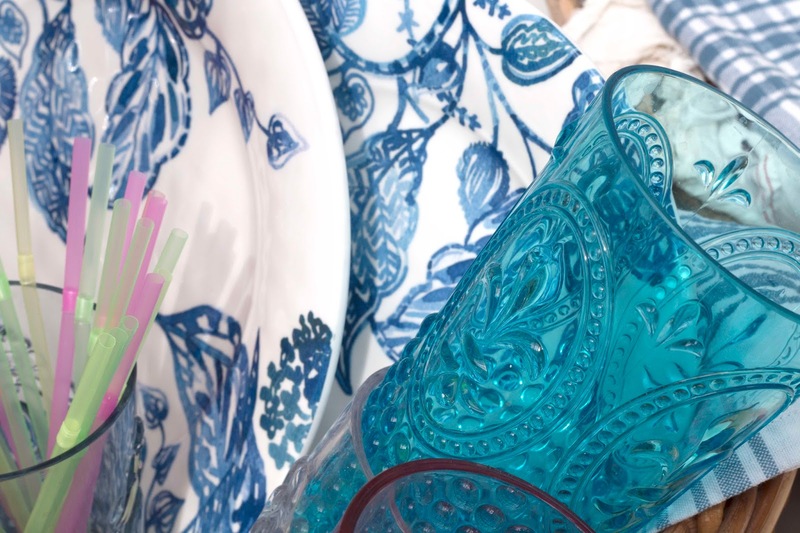 All views and opinions are my own, not influenced by the brand – however I do love them so all home decor appreciation is honest.